The longer I homeschool, the more fond I become of returning to topics that we have studied before especially if it is about history. Don't you think it takes a while to get a good skeleton or outline of some of the basic empires or civilizations of history? After that, it is all about adding in the details you enjoy the most. 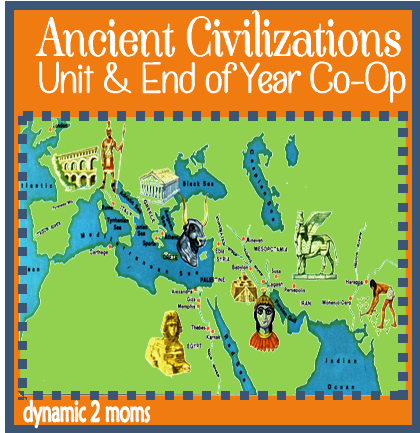 Oh yes, I still have to cover some of the basic accomplishments of each civilization as each kid gets older, but there is always a unique angle to presenting the information the second, third and fourth time around. I think a lot of us start off doing worksheets or only doing writing, then we evolve into hands-on projects, plays and skits and cooking recipes from that time period. It is hard to do all the fun things, I think anyway, the first time around in a history cycle because so much time is taken up by learning the basics. Don't exhaust yourself trying to do it all if it is your first time around in a history cycle. Build a solid foundation and there will be plenty of time for enrichment activities like lapbooks or notebooking. Too, even though history and geography were my favorite courses in school, I still feel like my education lacked in early civilizations. So I am aware of that as I teach my sons the second and third time around in our history cycle and try to hit some of the main points in my minibooks. Again, relax and don't rush learning about important civilizations because their impact even on American History is significant. 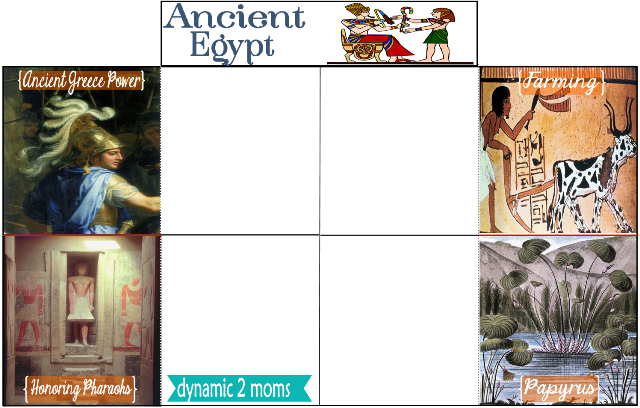 Here is the next minibook for the Ancient Civilizations Unit and it about Ancient Egypt. Most of the time, I try to include some information I find with each minibook in case you are short on time. I know I am not impressed when I am short on time with a bunch of blank mini books to present to my kids. However, my minibooks are flexible as I explain in the download. If you are doing a more comprehensive unit and this unit is part of their writing, then they can use the minibook to write in their own information. On this minibook though I do include information if you are using your lapbook like we do for enrichment and not interested in testing their writing skills or coloring skills. Just saying. 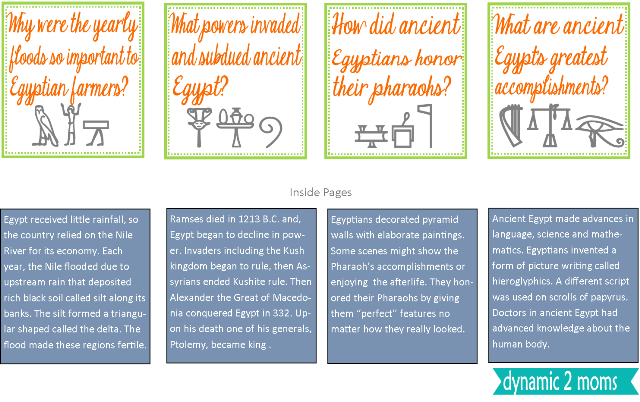 Download the Ancient Egypt Minibook here. On my next post about Ancient Civilizations I will have to share with you how the planning is coming along for the Ancient Civilizations/Great Empires co-op. 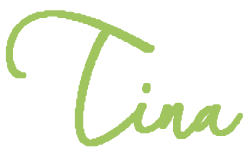 I have much to tell you about that too, but hope you enjoyed the post I did yesterday on successful co-ops. I like this quote today because it reminds me of the lack of candor and humility reflected by some of the ancient civilizations of the past that wanted to highlight only their accomplishments and tout great physical or personal features even if they didn't exist.